When I was in 7th Grade, I had a pretty awesome science teacher. I don't remember exactly what made him awesome, but I distinctly remember him being awesome. 1. His name was Mr. Condon....yup that was his name. 2. He was rather fond of Mariah Carey. 3. 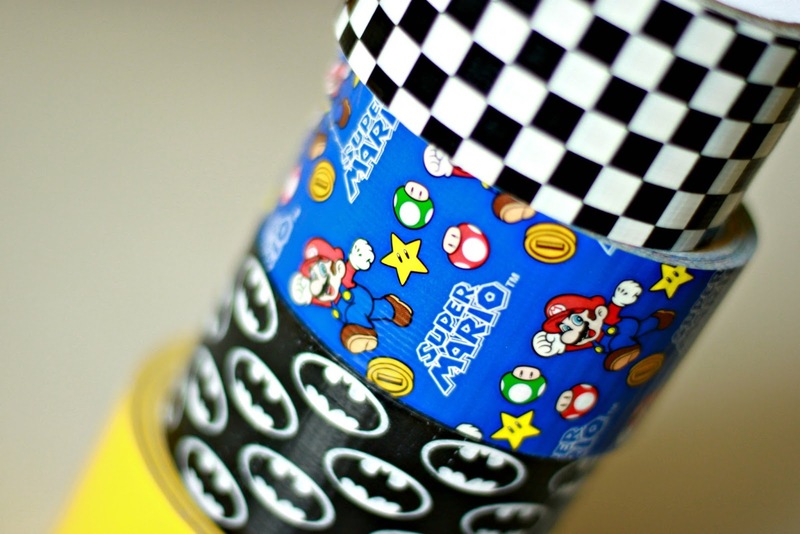 He had the most awesome Tornado in a Tube. I loved that thing. 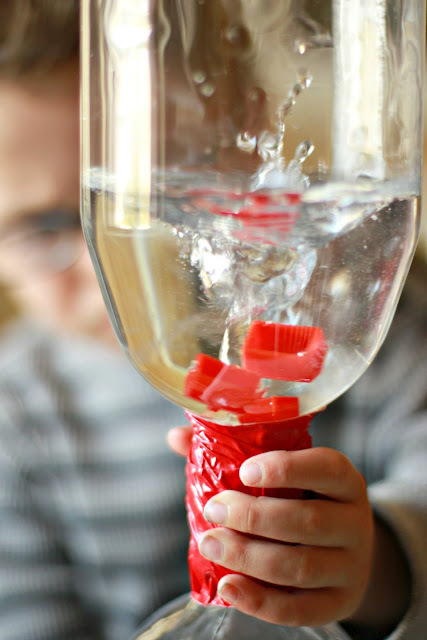 He would swirl, twist, tip and produce a water tornado every time. Obviously I have remembered that little bit of science fun over the years. I have been wanting to recreate our own Tornado in a Tube for a while. Finally the other day I just happened to remember the Tornado in a Tube right at the same time I was passing the soda aisle at the grocery store. 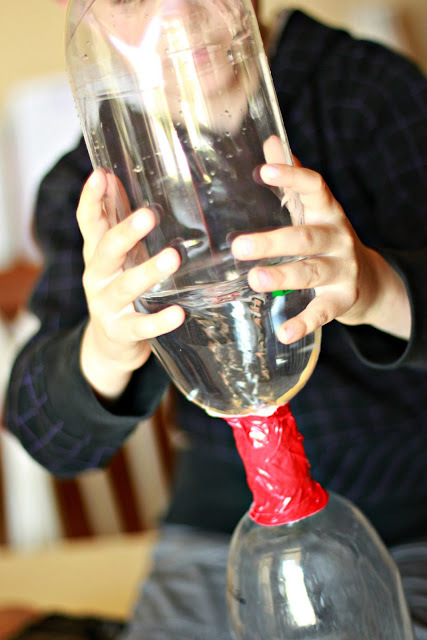 In the time it took for us to drink two 2-liters of soda, we had our very own Tornado in a Tube...BAM! Easiest thing to make ever. The part that takes the longest is drinking the soda. 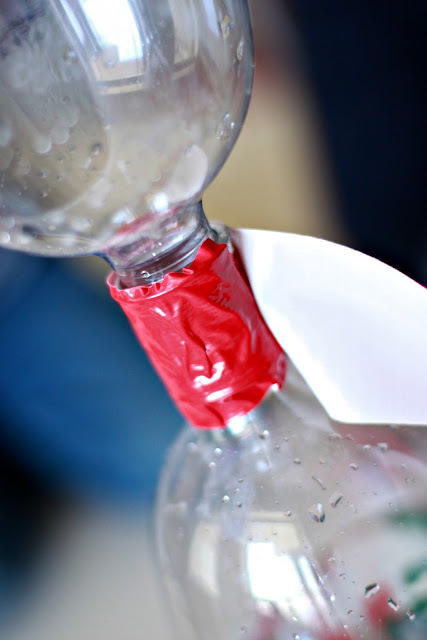 So if you already have two empty bottles, the hard part is done. You will need some duct tape. Of course you will need water. Then to make things fun you can add some Monopoly houses or maybe even some food coloring. 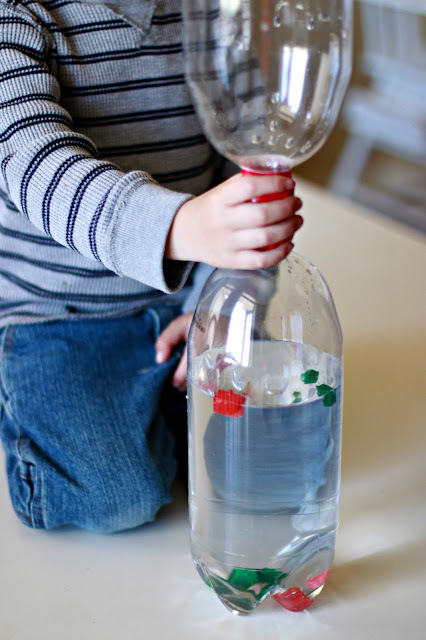 You simply fill one of the plastic bottles 3/4 full of water. 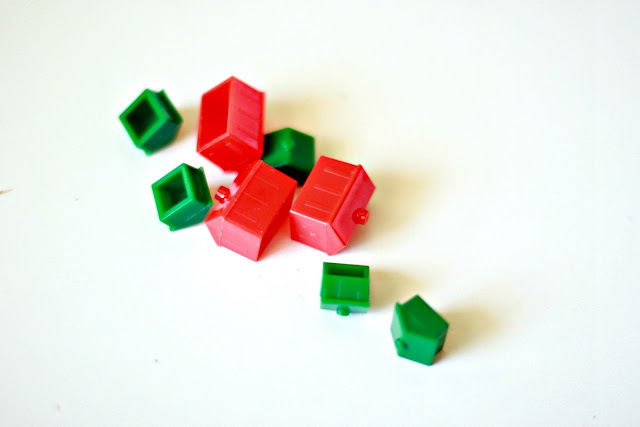 Then you add in the food coloring and/or teeny tiny houses. 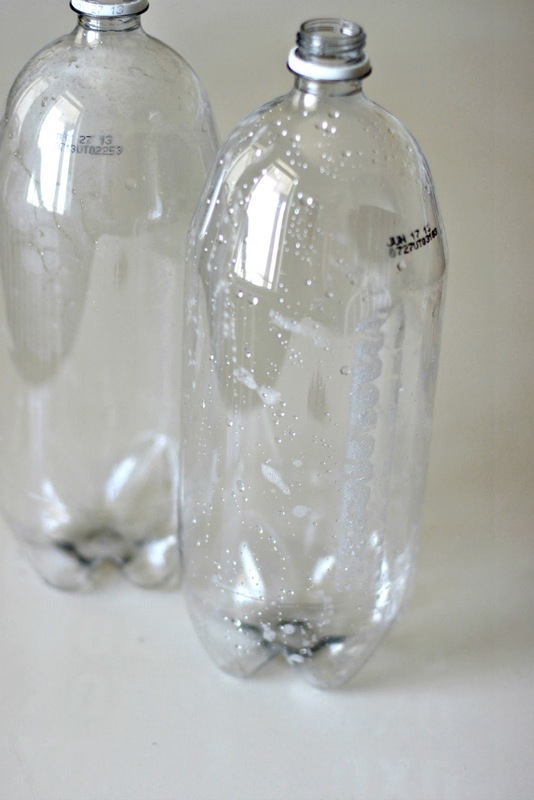 Take the empty bottle and turn it upside down placing the mouths of the bottles together. 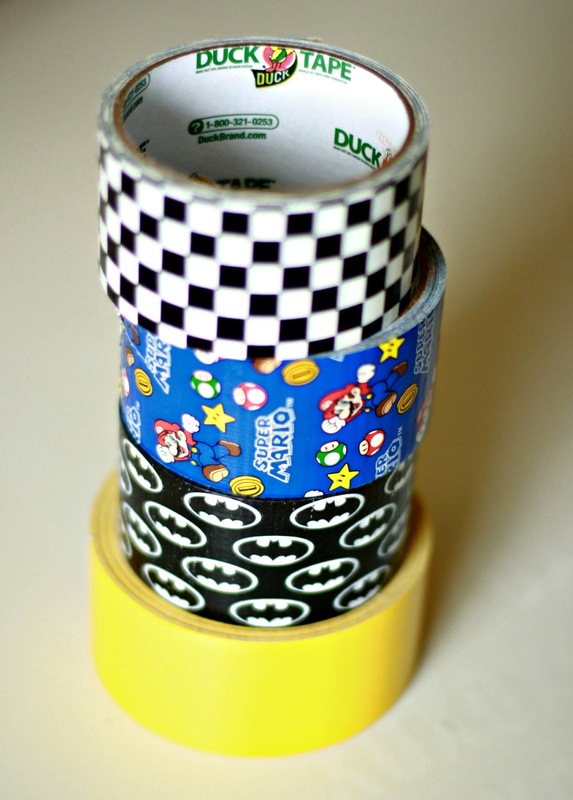 Wrap strips of duct tape to secure the bottles together. Keep wrapping, around and around. 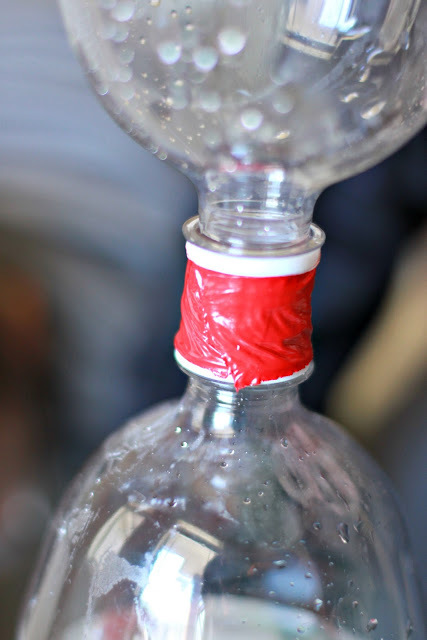 You really want to just keep wrapping until you have the necks of the bottle completely wrapped up too. 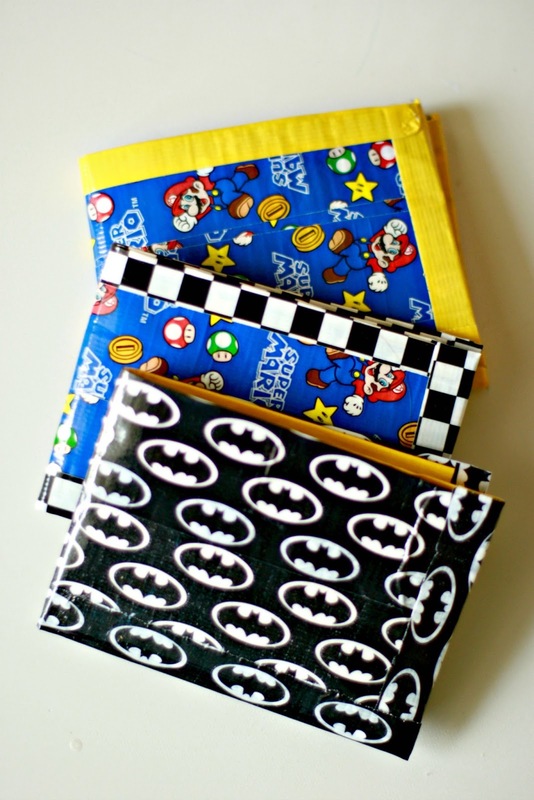 When in doubt, keep wrapping. You want it wrapped up enough that it doesn't leak. Now, it still might leak a little OR will start to leak after a lot of playing. Because it will get played with for sure. With everything all taped up, the fun can begin. Just grab the Tornado Tube by the taped part. Turn it over and shake and twirl the whole thing. Then just wait and watch as the water tornado forms. The whole thing is very cool and my boys loved it. They used it so much and created so many tornadoes that it I had to re-tape it! After making these, I did find that there is an online store that sells Tornado Tubes, that are made to attach the two bottles together. 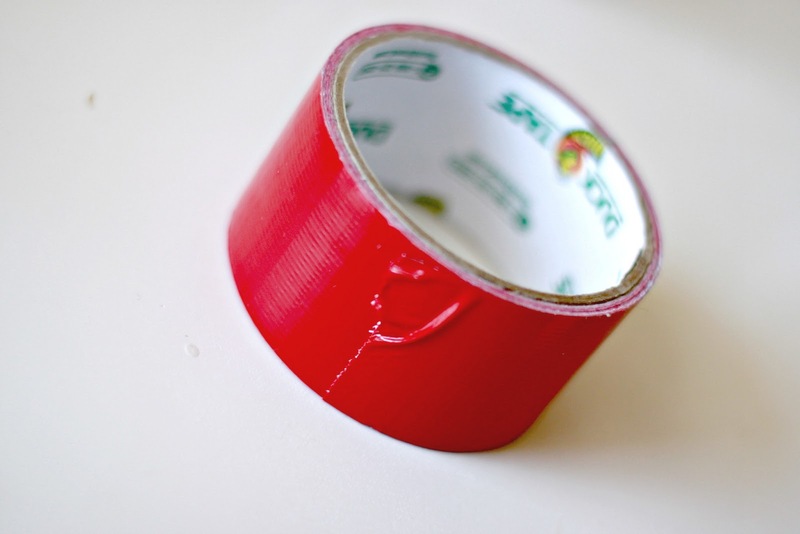 Hence no more duct tape. So if you think ahead enough you could always order some of those. 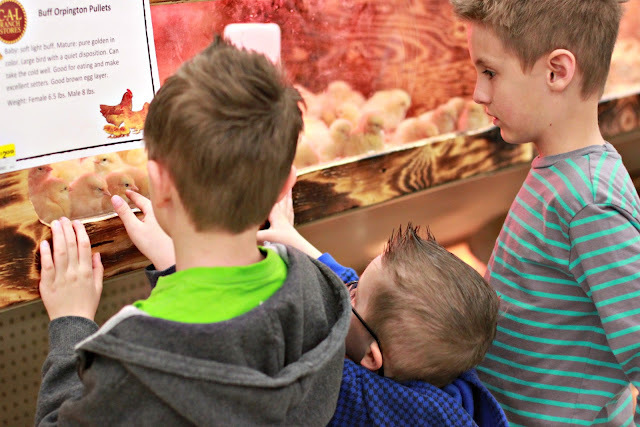 My boys really, really loved this. 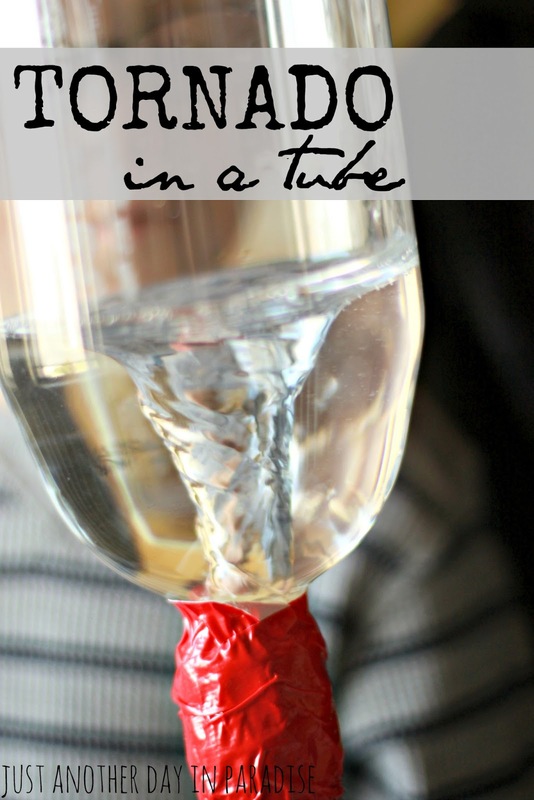 When they happened to walk by the Tornado in a Tube sitting on the counter they couldn't help but reach out and grab, flip, and twirl. 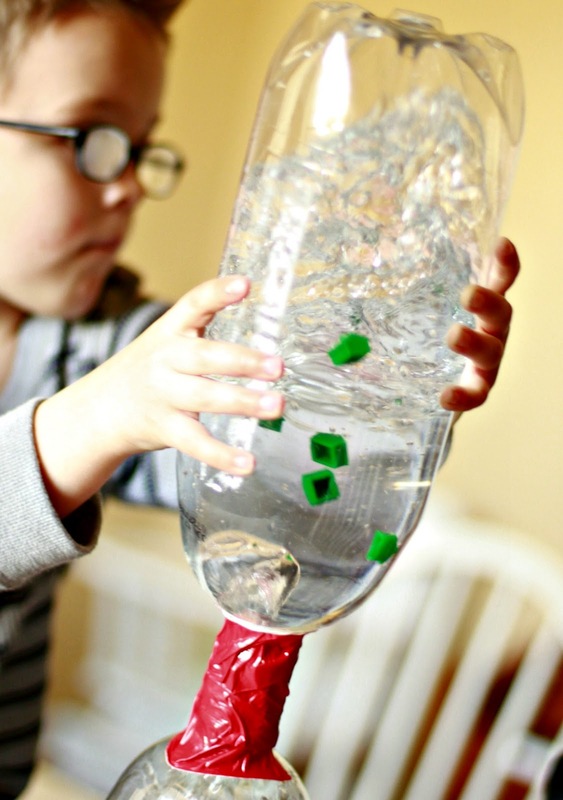 Then, mesmerized they would watch another water tornado make its way through the bottom of the tube into the next tape. Thanks for joining me for another installment of Fun with the Kids Friday . Spring is here. The perfect time for getting outside working those gardens. Spring is the perfect time to plant flowers, seeds, and start a vegetable garden. Spring is the perfect time to let your Green Thumb out of it's cage. For me there is only one little problem. What is the opposite of a Green Thumb? My Little Men say it is a Black Thumb, because if the plant dies it is black. Whatever the opposite of Green Thumb is, that is what I have. On both hands. Double the gardening trouble. In fact, the only plant (besides a vegetable garden...which even that is touch and go) I have managed to keep alive is the set of cacti we have had since Bean's Mexican Fiesta First Birthday. I have kept them alive a whole month. I attribute that to a couple of factors. One: Cacti are pretty hardy. After all they live in the desert. Two: Cacti are used to neglect. I mean you don't see a wondering nomad pruning, feeding, and watering them now do ya? Three: Hubby has been seen watering said cacti when they are on the brink of death. Thank you kind sir. They owe you their lives. See! I really can't say that I have kept them alive. They have stayed alive despite me. So imagine my shock when my Little Men, especially Oldest, came to me with a desire to plant and take care of their own flowers. Oldest even used his own money to buy some extra seeds and another planter. We went to our favorite garden store and the boys picked out pots, flowers, and soil. We immediately planted them. I immediately began to worry I was going to kill them. Middle very vigilantly reminds me daily that the flowers need watering. He reminds me they need the sunlight. They all worry about the wind blowing them over (spring around here is like living in a wind tunnel). Bottom line, they already seem to be much better gardeners than their mother. They already have plans to start planting more things. Oldest wants his very own little vegetable garden to take care of this Summer. I figured with all of this gardening (aka digging around in the dirt) they could use a no-nonsense Denim Gardening Apron just right and sturdy enough for Little Men gardeners. 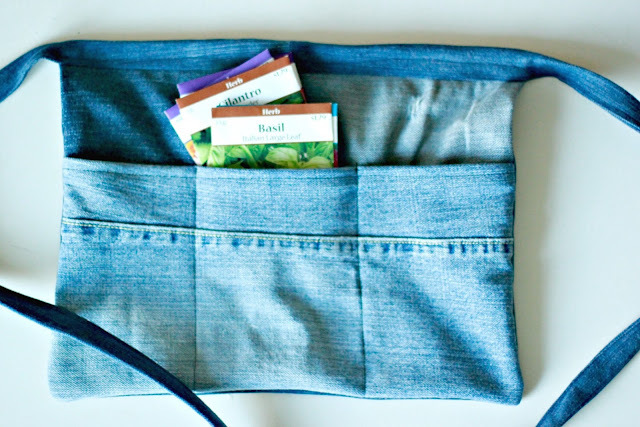 The apron is a convenient place to carry seeds and tools. Plus they have a place other than their clothes to wipe their dirty little mitts. Lucky for me I have a pretty hefty pile of old holey jeans just waiting to be repurposed. 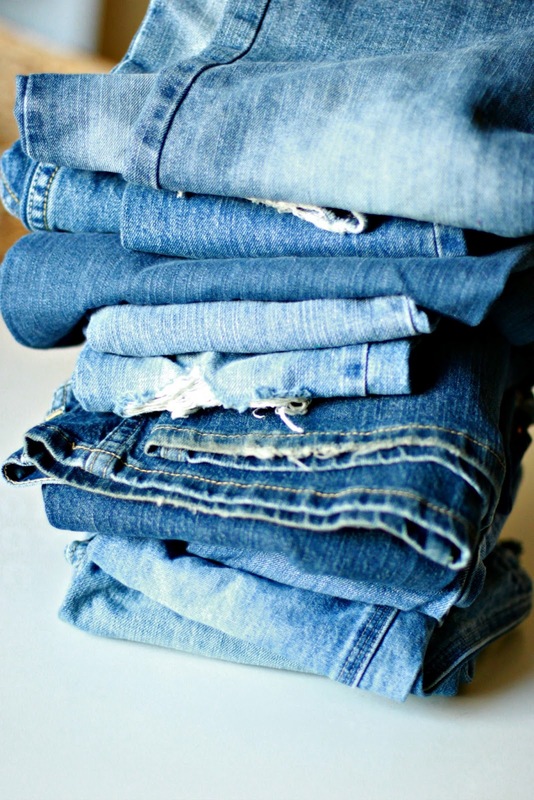 If you have some old jeans and a budding gardener, this would be the perfect project. 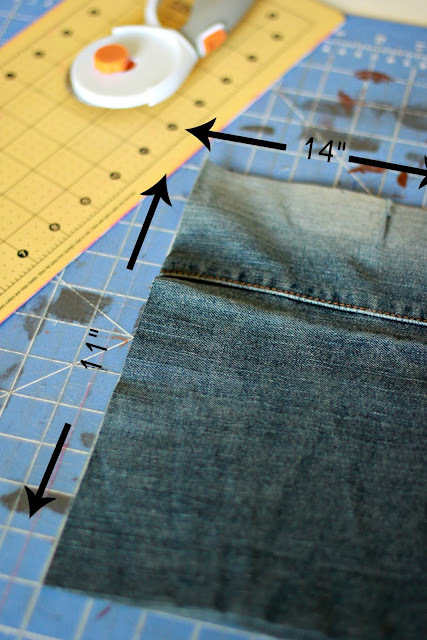 First you cut the legs of the first pair of jeans. 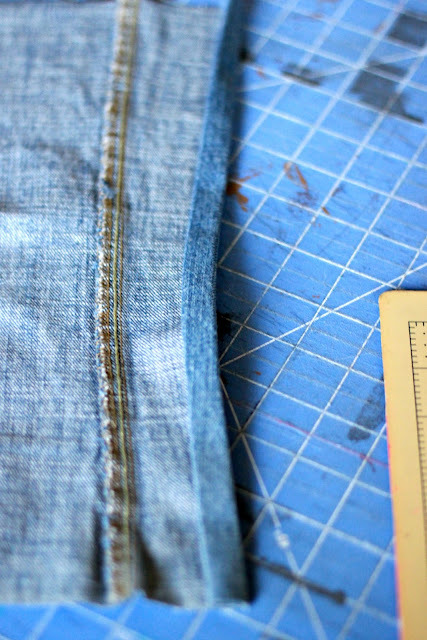 Next you cut each of the jean legs open at the inside seam. You trim each piece down to a 14"x11" rectangle. You will have two pieces, the front and back of the apron. Then you will cut one leg off another pair of jeans and again cut that jean leg open at the inside seam. Then you will trim that piece to 14"x8". This piece will be the front pocket. The jeans previous have been children's jeans. For the waistband/ties I used a pair of my jeans. 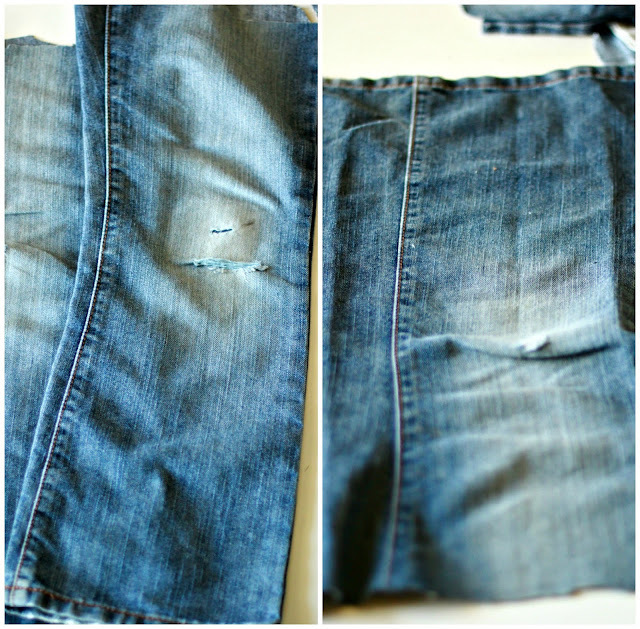 Cut off one leg of an adult sized pair of jeans, and cut it open. Then cut two strips measuring 3"x26". 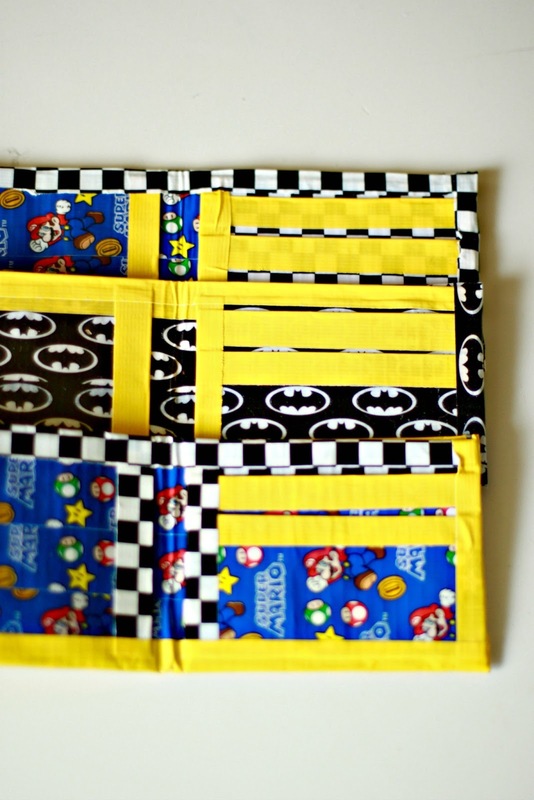 Sew the two strips together, right sides facing, with a 1/2" seam allowance. 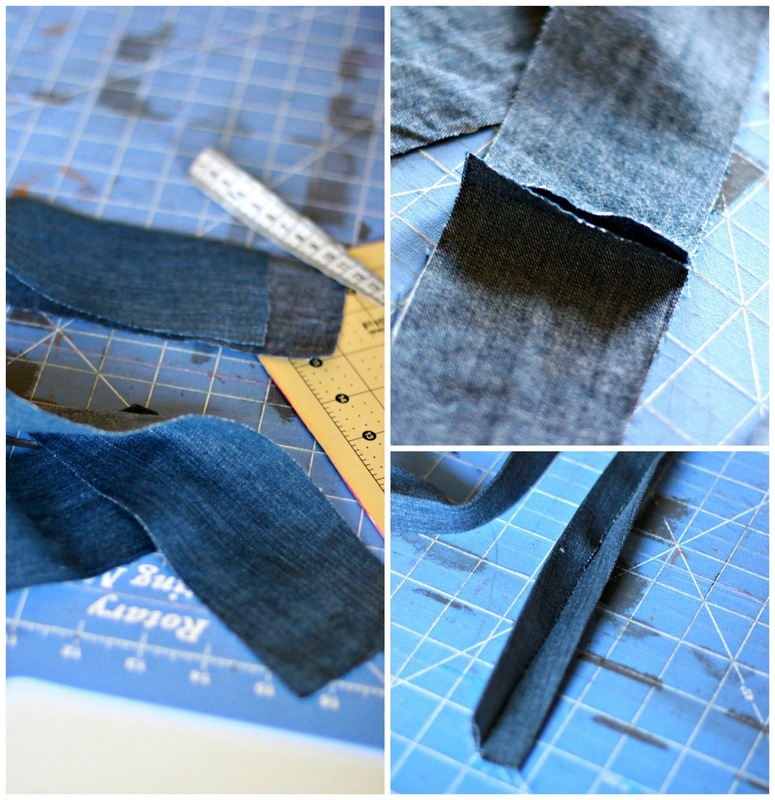 With the two pieces sewn together you have a long strip of denim. Iron in half lengthwise and then iron top and bottom edges into the halfway point, and then fold and iron again. Basically, you are making your own long strip of biased tape (just not necessarily on the bias). The next step is to prepare the pocket. Iron one edge down 1/4". Then fold down that edge another 1/4" and iron. Sew along this edge. 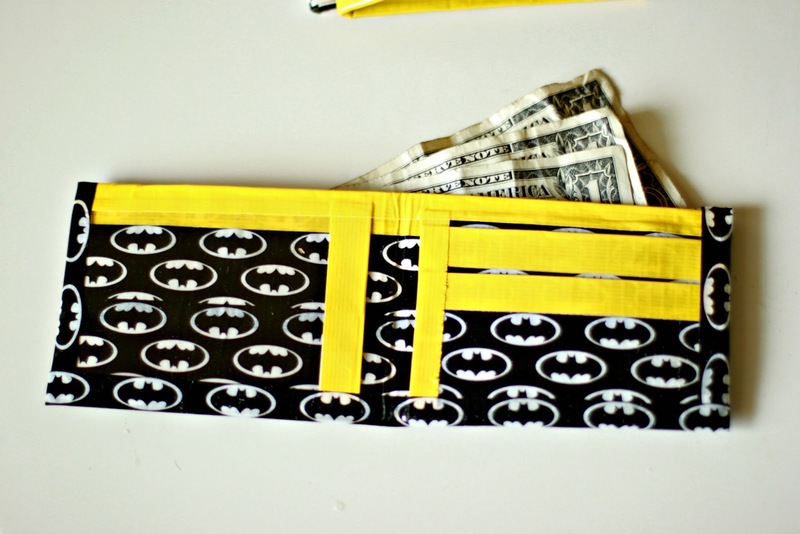 This will be the top seam of your pocket. Next pin the pocket to the right side of the front piece of the apron. 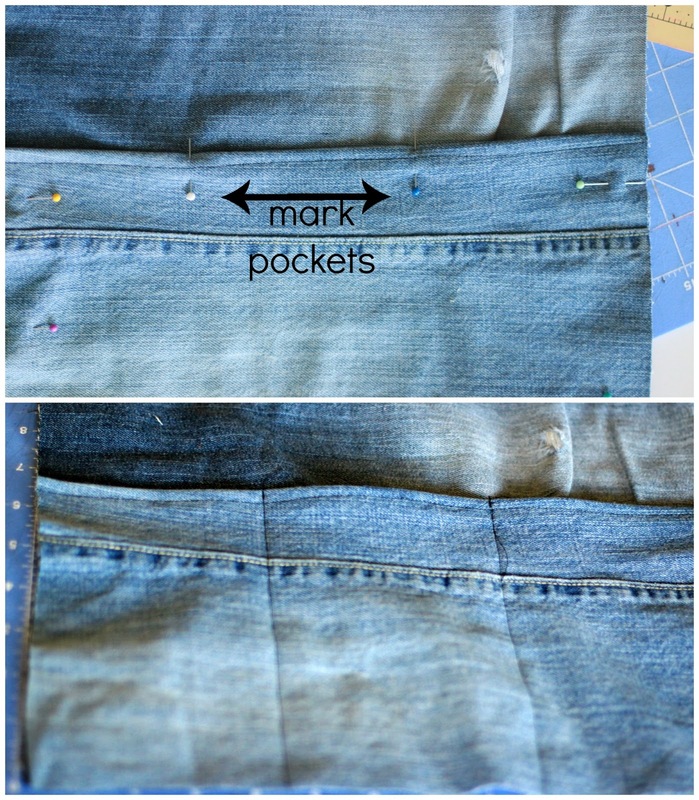 After you have pinned the pocket in place, divide the pocket in thirds and mark. This will be where you sew down to make the pocket dividers. 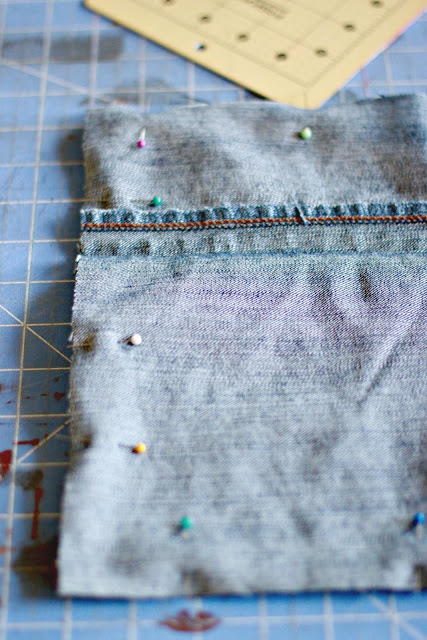 Sew the pocket lines. Back stitch right at the top and then continue sewing all the way down in as straight as a line as you can sew. Now with the front of the apron done, layer the other piece of denim on top, right sides facing. Pin all around the edges. Sew together with 1/2" seam allowance, leaving a 3-4" gap at the top to turn out the apron. 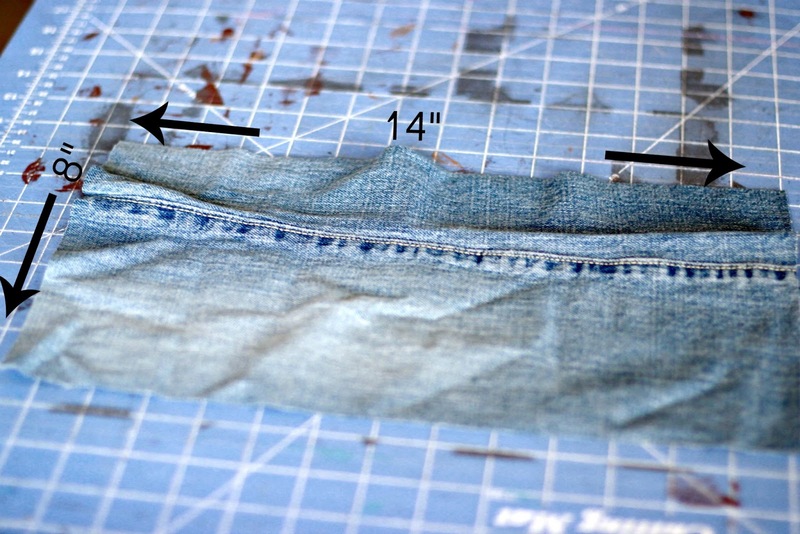 To sew on the waistband, match the middle of the long strip to the middle of the apron. 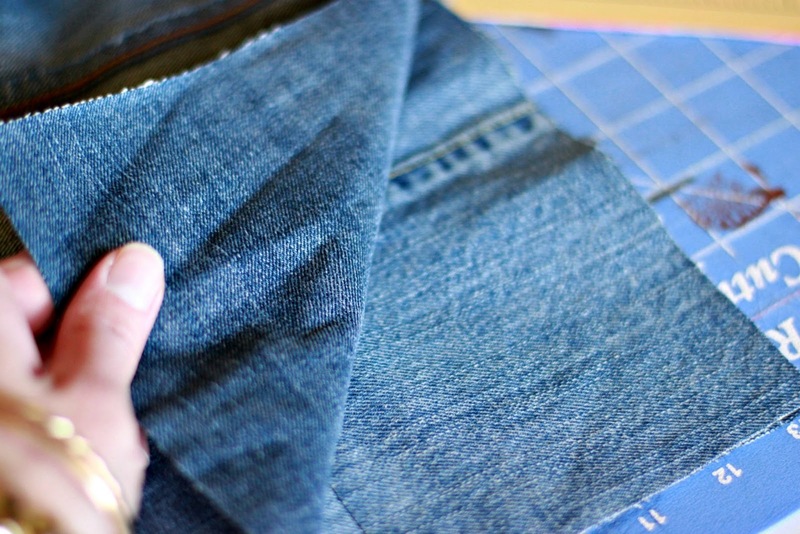 Open up the "biased tape" denim strip and sandwich the top of the apron into it. Fold over, so the biased tape is covering the top edge of the apron. Pin in place and pin the part of the biased tape that is the ties, in order to sew them closed too. Start at one tie and sew all long the bottom edge over the apron and to the end of the other tie. Boom, you are done. 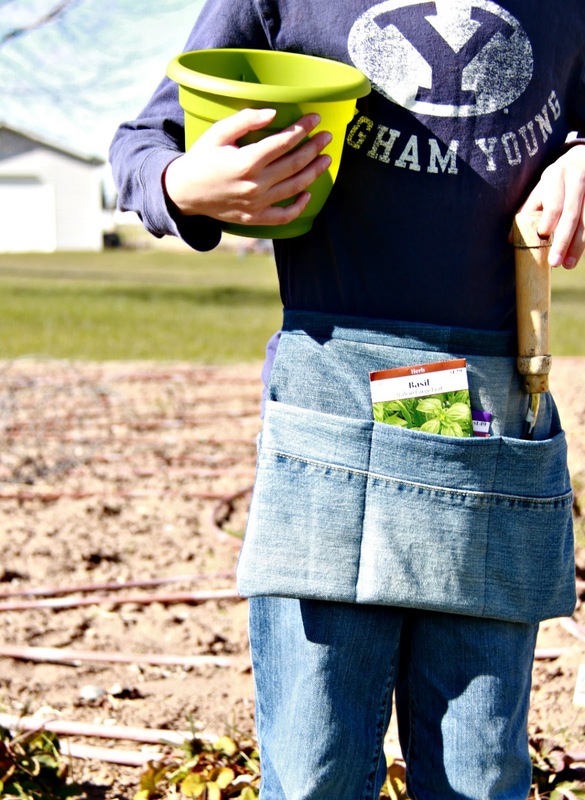 One Little Gardening Apron perfect for kids who like to garden. They stay a little cleaner...noticed that I said a little. I mean gardening equals dirt and dirt and kids are pretty much always going to create some kind of glorious mess. They will also look pretty profesh and legit. So legit they may start charging you for all their gardening advice and planting services. 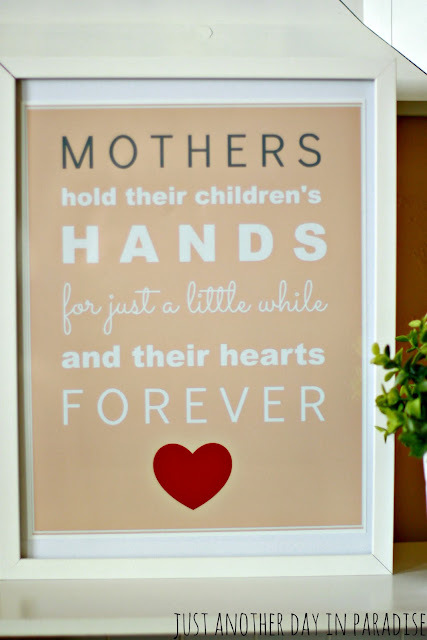 Or they may just want you to shower them with praise and accolades for their hard work and beautiful flowers. 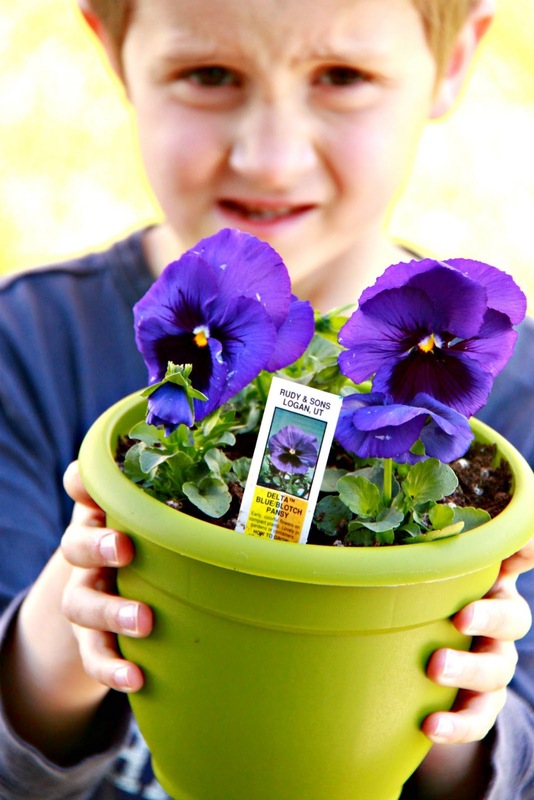 I really believe that encouraging kids to garden is a great things. Gardening is a skill that will help them their whole lives. They will have a greater appreciation for the Earth (a late plug for Earth Day). Gardening encourages them to eat more fruit and vegetables. Gardening is something they can do with their little hands. They can see the "fruits" of their labors. 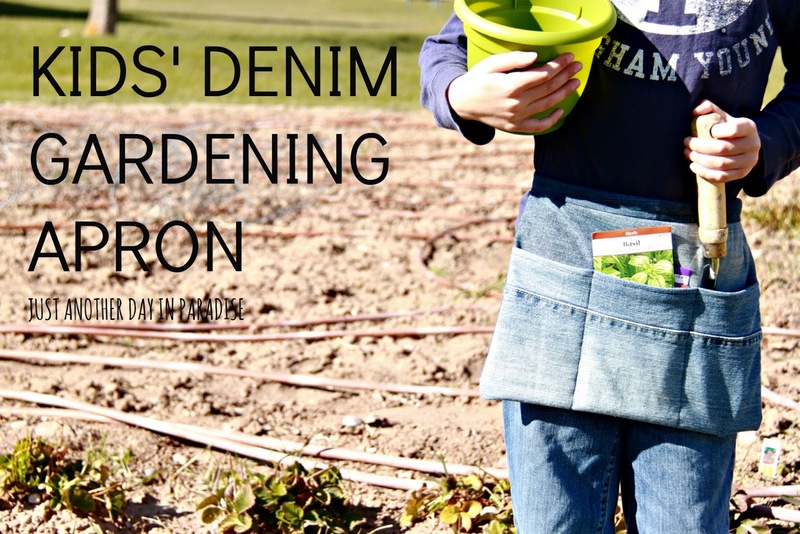 Make them a Denim Gardening Apron all their own, give them some tools, and let them pick out their own seeds and they are sure to get the gardening bug. First things first people ... I have done it. For better or worse I put my big girl social media pants on and I joined Twitter. I am officially ready to Tweet. I am officially ready to hashtag...or should I have just said I am officially ready to #? Oh good grief. I am in trouble. I would love it if any of you out there on twitter would hold my hand follow Just Another Day in Paradise on Twitter and be there with me during this social media journey. Thanks for being the best readers ever. On with Slow Cooker Saturday. Another week, another Slow Cooker Recipe. I love that this recipe was for chicken that was going into a sandwich. The roasted red pepper and chicken cooked away in the slow cooker with no never-you-mind from me. When it was time to eat, I just had to get the bread, lettuce, tomatoes, and spread ready. Then it all cozied up together and got put on a plate waiting for my undivided attention. Well, not undivided. I couldn't help but giving some of my attention to these insane homemade Garlic Parmesan Fries (recipe included today). I felt just like I was eating at a restaurant. Except I didn't have to leave a tip and I had to wash the dishes afterwards. But other than that...yeah it felt like a restaurant. 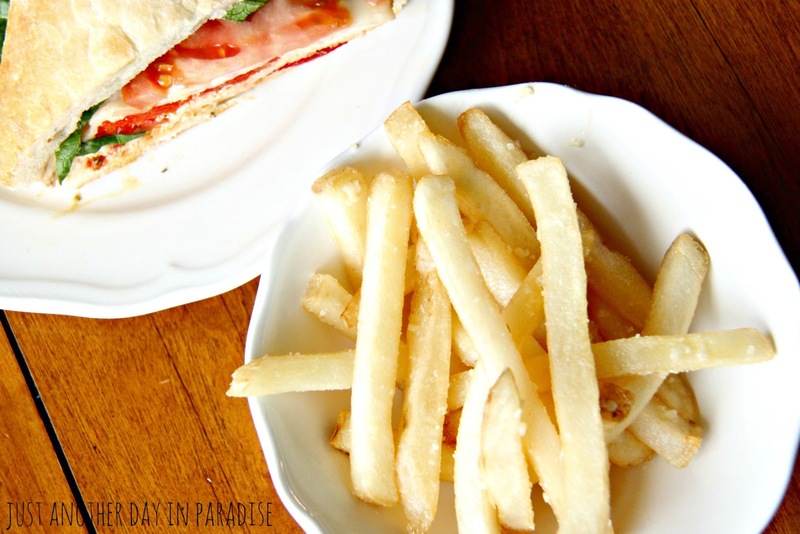 This is an easy and completely yummy sandwich recipe. Plus you can really switch it up how you like. 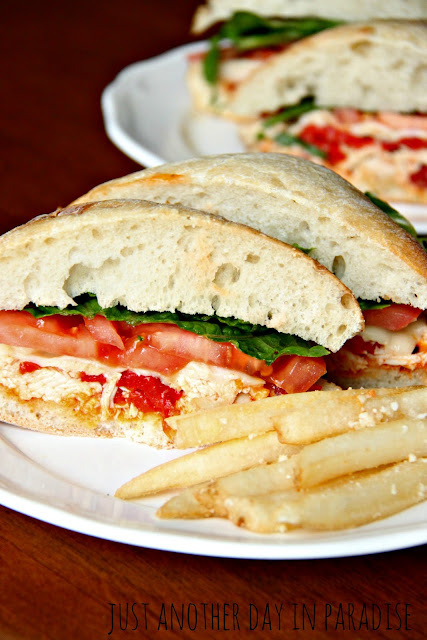 With the Roasted Red Pepper Chicken as a base you can choose the type of bread. You can choose different spreads. Hidden Valley has these great new spreads that work perfectly on sandwiches (they don't know I am saying that, I just really like their spreads and want to pass on this little gem to other sandwich lovers). 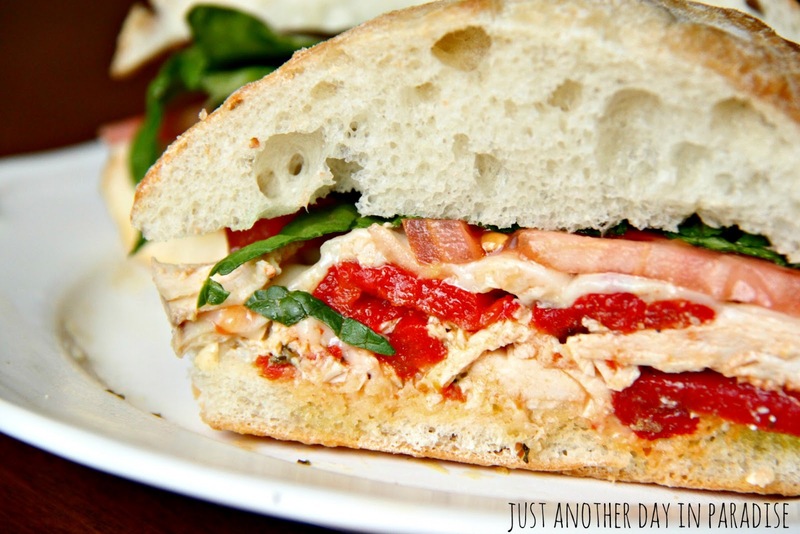 We used the Spicy Chipotle Pepper flavor on one sandwich. We used regular pesto on another. See, you can switch it up how ya like. Anyway you make the sandwich it will be tasty. Okay I take that back. You probably won't enjoy the sandwich if you use Peanut Butter as the spread. This recipe is definitely worth trying. Place the chicken into a slow cooker and season with salt and pepper. Add in the jar of roasted red peppers. Cook on low for 6 hours. Remove chicken from crock pot and shred. Return back to the crock pot and mix. Bake fries according to directions. Just before the fries are done, stir the garlic and Parmesan cheese into the melted butter. Drizzle the garlic Parmesan mixture over the fries. Gently toss to coat. Make sure all the fries are coated evenly. Assemble the sandwiches and serve with a side of fries. Last October Middle had a birthday. On birthdays the birthday boy (and once a year girl...that's me) get to pick whatever meal they want for dinner. 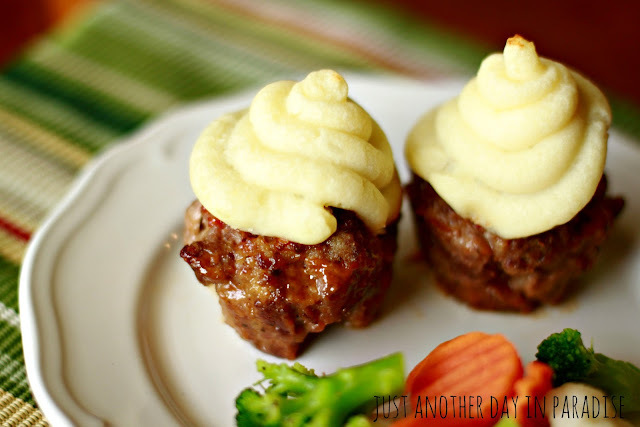 On this particular birthday for whatever reason, Middle wanted meatloaf cupcakes. I searched around a bit and settled on a mixture of recipes. We made them as requested by Middle. 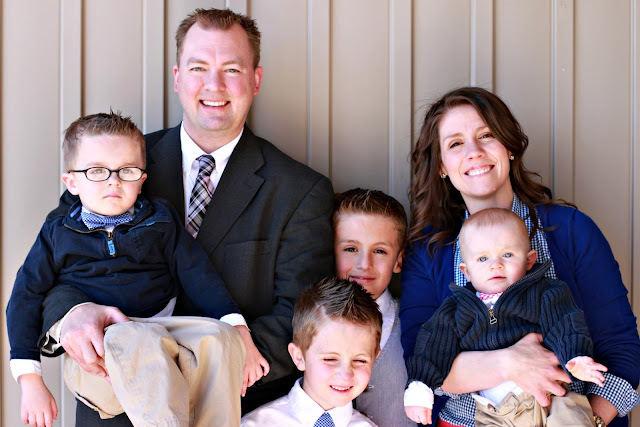 They were an instant family favorite. In fact they have been requested and made several times in the last 6 months. I however have changed the name, since Meatloaf Cupcakes just sounds like an April's Fools joke gone wrong. 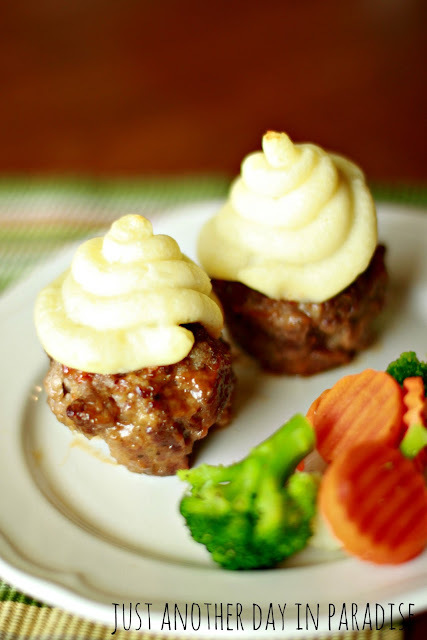 We now hereby refer to these little meat/mashed potato morsels as Mashed Potato Topped Mini Meatloaves...okay only I refer to them as that. 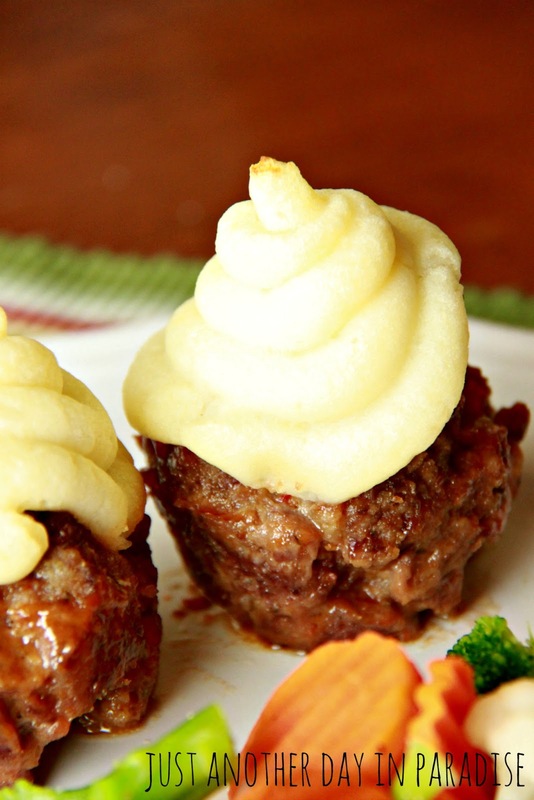 Everyone else, much to my dismay still refers to them as Meatloaf Cupcakes. Mashed Potato Topped Mini Meatloaves or Meatloaf Cupcakes, you can call them whatever you want, they are delicious. I really like how they are perfectly portioned with just the right amount of mashed potatoes. The other thing I love about the recipe is the lack of ketchup. Instead of ketchup or a tomato sauce it has sweet chili sauce. That would be a double yum. 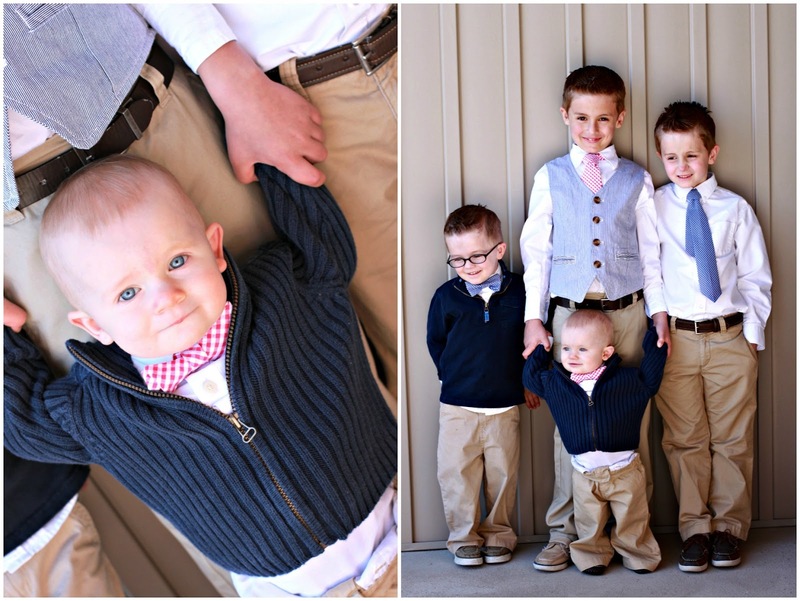 They will be a family favorite. Prepare the meatloaf by combining the first set of ingredients together in a big bowl. Mix until everything is well incorporated, but do not over mix. Put the bowl in the refrigerator to chill while make the sauce. Make the sauce by whisking the sweet chili sauce, brown sugar, and mustard together until completely mixed. Spray a cupcake tin with cooking spray. Fill each cup with a handful of meat. Gently press it down to completely filled. Spread a spoonful of sweet chili sauce over the top of each mini loaf. Bake in the oven for 30 minutes, or until cooked through. While they are baking, make the potatoes. Put the potatoes in a pot, cover with water. Add the garlic to the water. Bring to a boil and cook the potatoes until tender. Drain. Let the potatoes cool slightly. Whip the potatoes with the half and half and the egg yolk. Whip until fluffy. Stir in the melted butter. Prepare a pastry bat with a large tip and fill the bag with the potato mixture. OR you can fill a Ziploc bag and cut one tip of the bag. Once the mini loaves are baked, remove from the oven and turn on the broiler. Top the mini loaves with the potatoes and then put the mini loaves back in the oven for a few minutes until the potatoes are lightly golden. Let them set for a couple of minutes and then remove them from the pan. 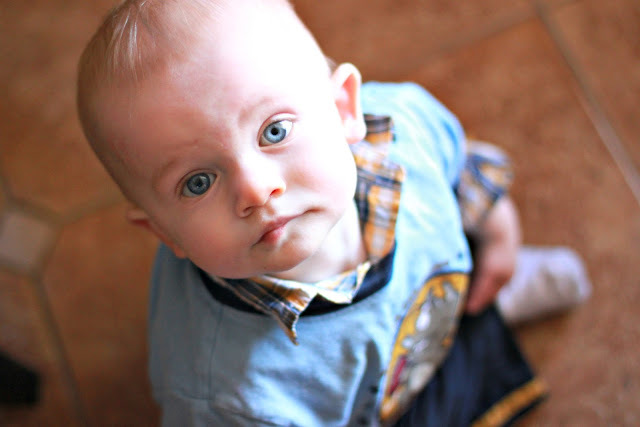 Just the other day I was walking up our stairs with Little by my side. As he often does, he reached out with his sweet little hand and grabbed my hand. Tightly he holds on, at first for stability but then it turns into simple sweet hand holding. I glanced down at his precious glasses-clad cherub face. My heart was immediately happy and filled with so much love. A Momma's Love. Then I had the fleeting thought, he won't always want to hold my hand like this. No, he won't. 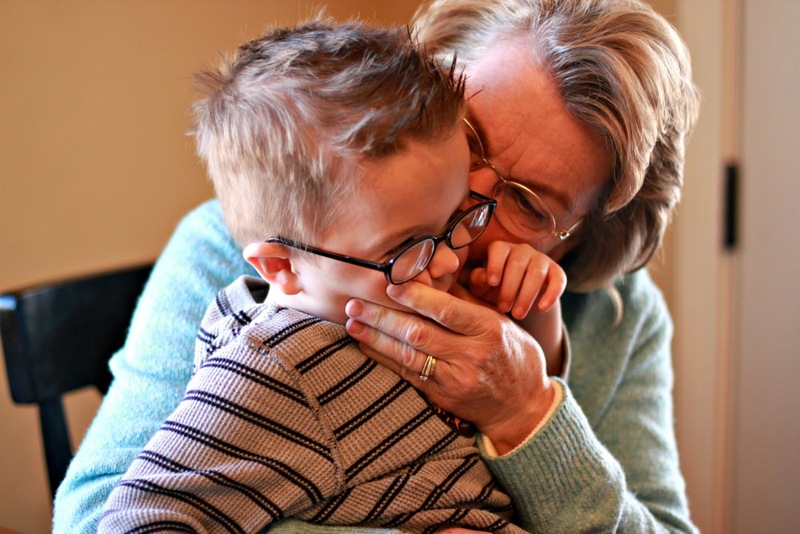 Someday he will be a little bigger and hand holding with his mom won't be necessary or cool. And that is okay. He has to grow up. They all do. But for now he does want to hold my hand. He happily and eagerly does. So I will keep on holding his little hand while he will let me. And I will hold it even after we have safely made it up the stairs, across the road, or through a crowd. It is totally true, that a momma holds their children's hands for just a little while. 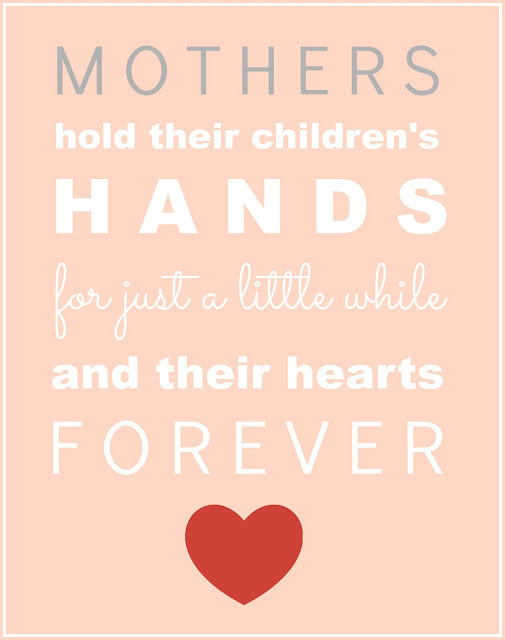 So I will cherish teeny tiny hand holding while I get it. Between all this love, and warm and fuzzy feelings overflowing, and the fact that Mother's Day is quickly approaching I decided I wanted to make a poster with this saying I found. 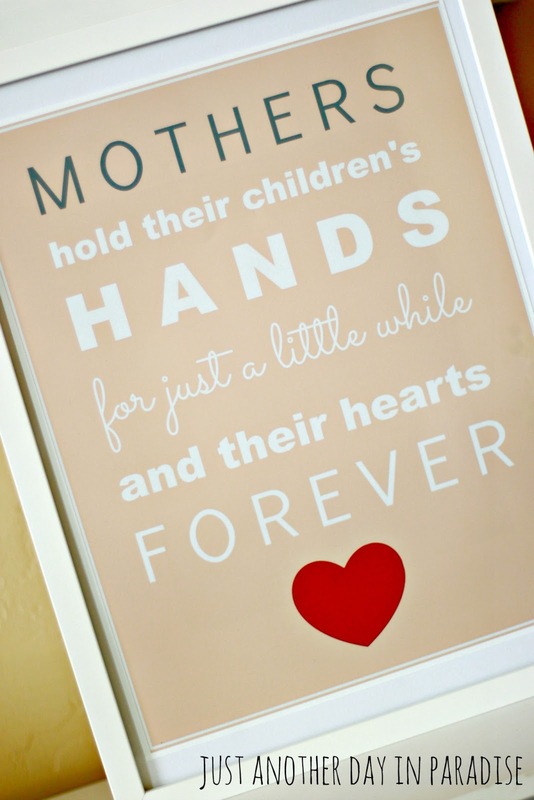 This saying really captured all of the tender Momma feelings I had experienced while walking Little up the stairs. This poster would make a lovely Mother's Day gift. You can print it as a poster and frame it, or print it smaller and make it a magnet. Oh the endless possibilities. You can also do what I did and print it and put in your house to remind you of all your warm and fuzzy feelings. I hope you enjoy this print and that it helps with your Mother's Day gift giving. Just right click on the image and save the jpeg to your computer. Then you can print if off as large as an 11x14. Happy hand-holding with your little ones. I haven't posted an In a Nutshell post in a really long time. 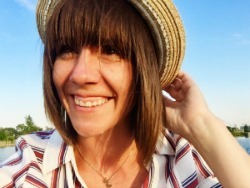 I hope you will indulge me in sharing an itty bitty bit of our recent Spring Break. We had a great time spending time as a family. 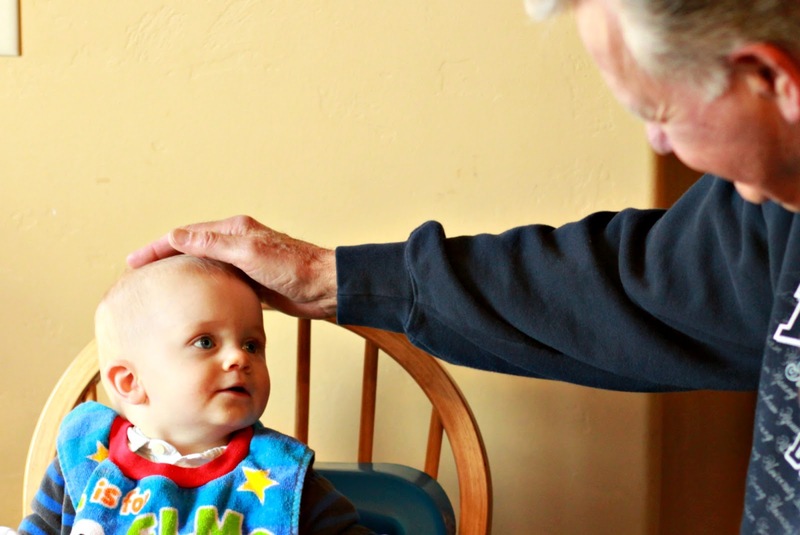 The boys especially loved having Gram and Papa here. Just after that their favorite part was of course being out of school. 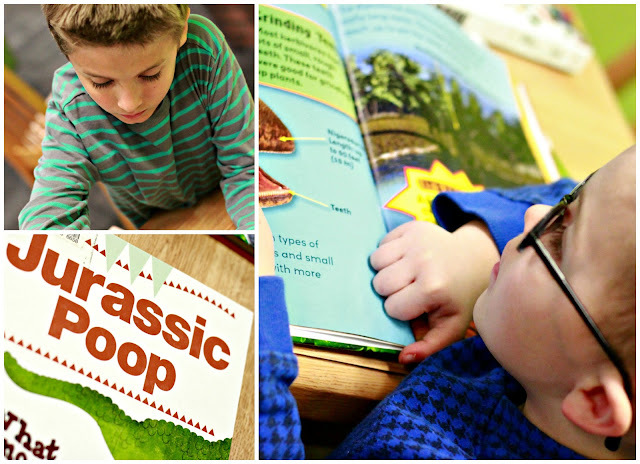 We made a trip to the library, where of course the books of choice were those about dinosaurs and dinosaur poop. We flew kites that Gram and Papa brought. The weather was especially windy that day. 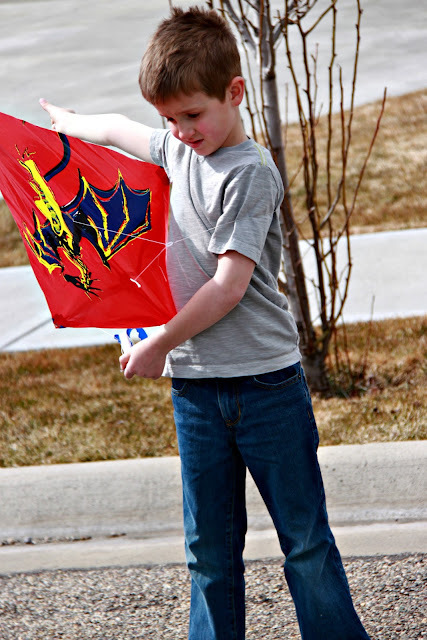 They boys frantically ran back and forth in one direction trying to stay with the wind and keep their kites up. 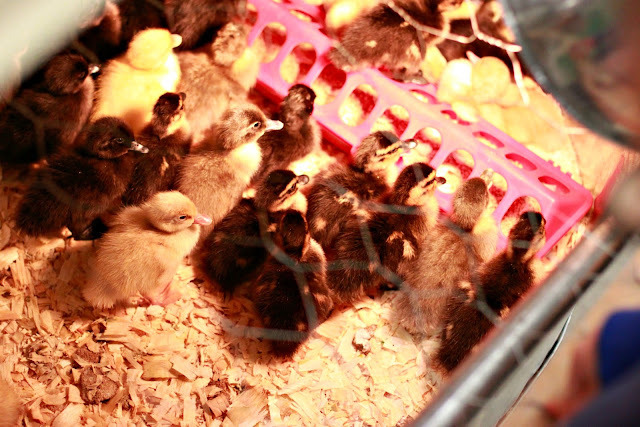 We made our way to our local farming store and visited the chicks, ducks, and bunnies. They were super cute and looked really fluffy. We will never know though because there was no holding allowed. So we just "awed" from the other side of the glass. Toward the end of Spring break week it was time to get ready for Easter. We made sugar cookies. We made funny faces. We ate cookie dough. We colored Easter eggs. Some of us in sweet muscle tees. 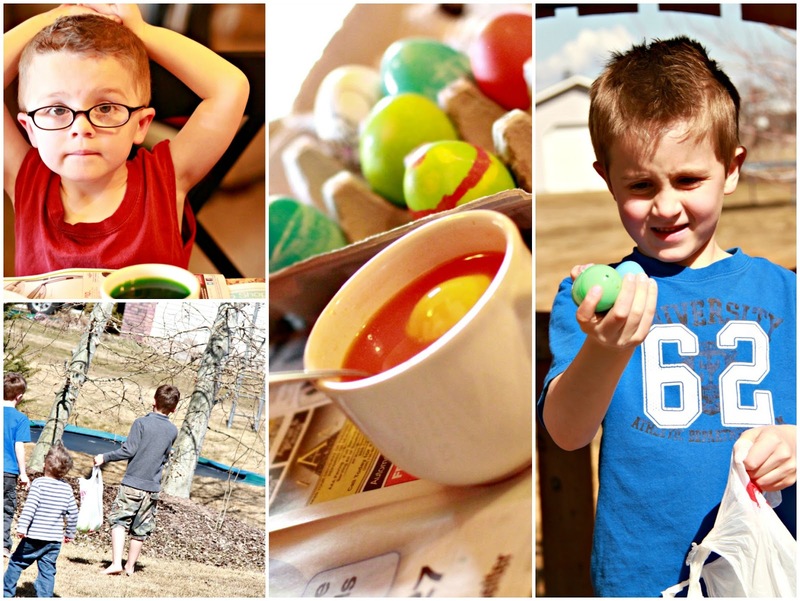 The Easter Bunny hid our eggs and we went on a hunt to find them. Bean very patiently shared his time with all the other siblings. He wasn't quite sure about what to do with them around all week. 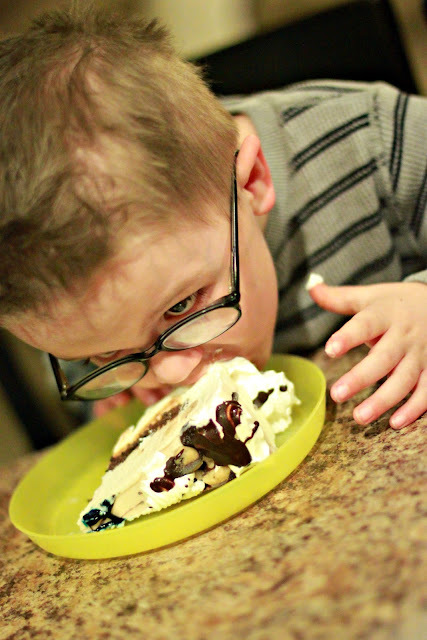 However, he did eat up all the attention he got from his brothers and his grandparents. We also celebrated Little's birthday. We celebrated with presents and balloons. 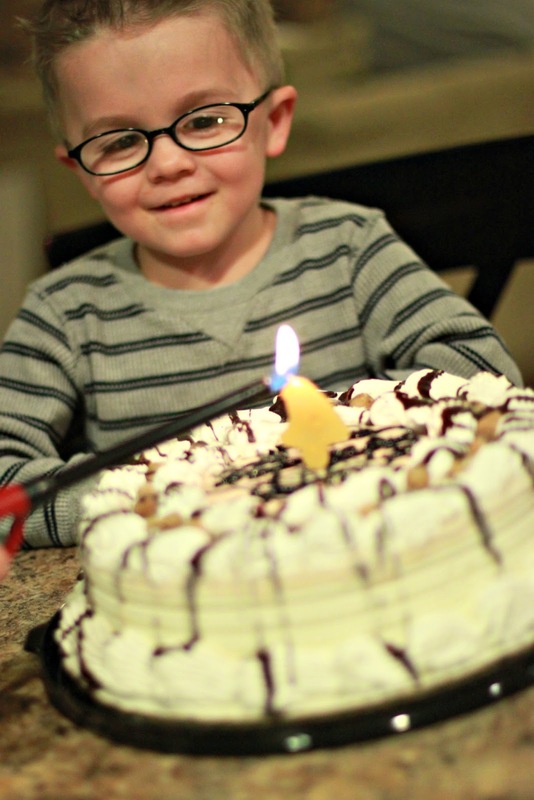 We celebrated with kisses, hugs, and ice cream cake. He didn't see the need to use silverware. After all it is his birthday, so he shouldn't have too. Spring Break ended with Easter Sunday. We dressed up all our Little Men for Church. Aren't they handsome? We had such a great week. 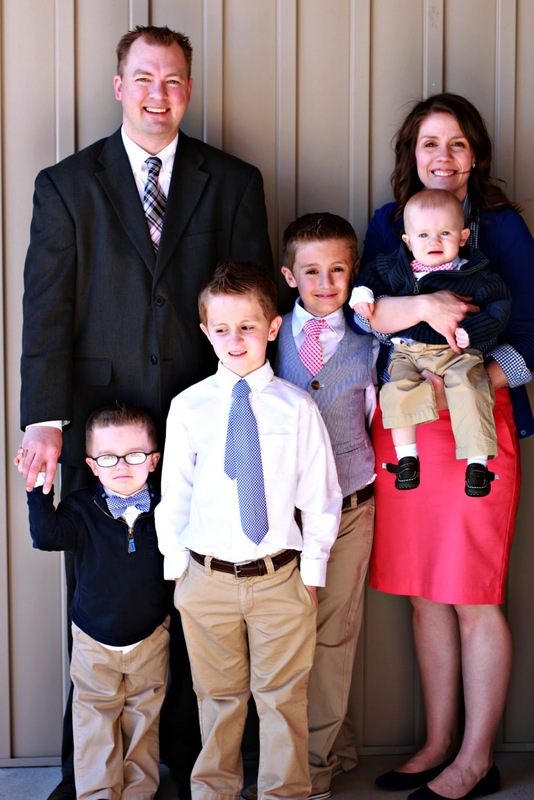 I feel blessed to have had our little family all together for so much of the week. I am one lucky wife and Momma.